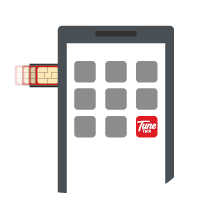 FREE 36GB Data up to 12 months* when you join Tune Talk today! Promotion valid for limited time only. How Do I Get FREE Data*? 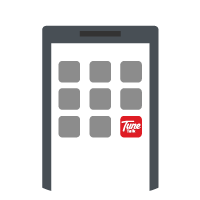 Don't have Tune Talk app? 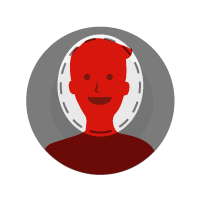 How Does The Self-registration Work? Download Tune Talk Mobile App. Select "Register Or Get SIM". Scan your New SIM card. 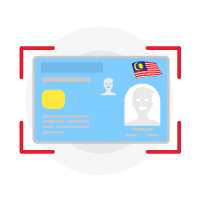 Scan you Identity card (NRIC/Passport). Done! Your SIM is now activated. 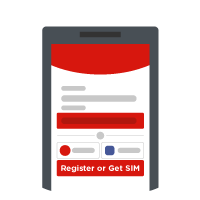 Insert your SIM and start using it! Get your Tune Talk VALUE Prepaid Pack now and we’ll deliver it to your doorstep for FREE! 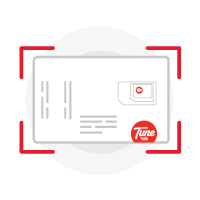 The Tune Talk’s Promotional Campaign (“The Promo”) is organized by Tune Talk Sdn Bhd ( “TTSB”) shall be supplementary to the TuneTalk Service Subscription, https://www.tunetalk.com/my/en/ancillary/tnc/service-subscription (‘Service Subscription Terms and Conditions”). All subscribers that participate in this Promo are bound by the Plan Terms and Conditions terms together with the Service Subscription Terms and Conditions and/or any other terms and conditions related to the provision of Tune Talk’s Service. Tune Talk reserves the sole and absolute right to amend, modify, vary or change any Plan or Service Subscription Terms and Conditions at any time without any prior notice to Subscribers. Subscriber who successfully fulfil the mechanics will obtain goodies (“The Goodies “). The Promo is open to all legitimate new Tune Talk users (“Subscribers”) under the Tune Talk VALUE Prepaid pack only. 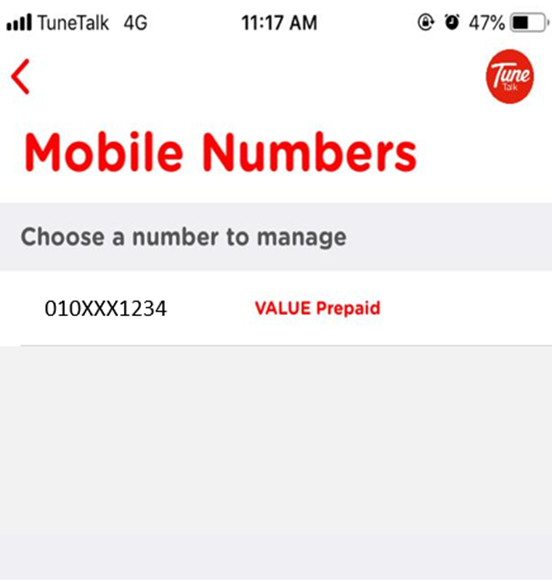 Tone Excel and Tone Plus subscribers not eligible to subscribe to this Plan unless he or she registers a new SIM under the Tune Talk tariff to get the Plan. The Promo period begins 00:01am 16th February 2019 until further notice. Subscriber will receive an SMS every 30 days indication successful provisioning of a new data quota until the end of the promotion. New lines & Switched lines (as per 6.1 & 6.3) will automatically receive 3Gb data (30 days validity) and every subsequent 30 days for the next 5 months calculated from the day of top up (as per 6.1.3 & 6.3.4). In total, subscribers will receive 18 Gb (3Gb x 6) within 180 days from this promotion. Port-Ins (as per 6.2) will automatically receive 3Gb data (30days validity) and every subsequent 30days for the next 11 months calculated from the day of top up (as per 6.2.4). In total, subscribers can get up to 36Gb (3Gb x 12) within 360 days from this promotion. In the event that the subscriber is not in ACTIVE status (ACTIVE status means that a subscriber’s Tune Talk credit validity has not expired), he subscriber will not be able to utilize any Data Quota until they return to ACTIVE status. Any data usage after Data Quota are totally exhausted will be reduced to Basic Internet speeds of 64kbps. No pay-per-use data usage and charges will apply. All eligible lines will only be able to utilize one “Promo” at any time. Promotion cannot be exchangeable for cash or used in conjunction with other offers, privileges and packages. Authenticity of registrations will be subject to audit and checks by Tune Talk accordance with the Malaysian Communication and Multimedia Commission Guideline on Prepaid Mobile Registration. If registration is proven to be fraudulent including but not limited due to false IDs, commercial usage, unauthorized registrations, etc. Tune Talk reserves the right to terminate the line without notice.